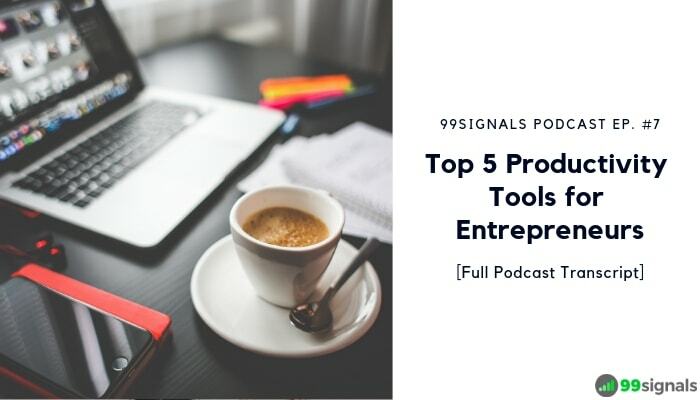 To that end, we’ll talk about productivity in our new podcast episode, or to be more specific, top productivity tools for entrepreneurs who are looking to get more things done efficiently. Listen to this episode to learn about the 5 best productivity tools for entrepreneurs. [01:14] Productivity Tool #1: Brain.fm. Brain.fm provides music designed for the brain to improve focus. [03:14] The first 5 sessions with Brain.fm are free. [03:40] Productivity Tool #2: Asana. 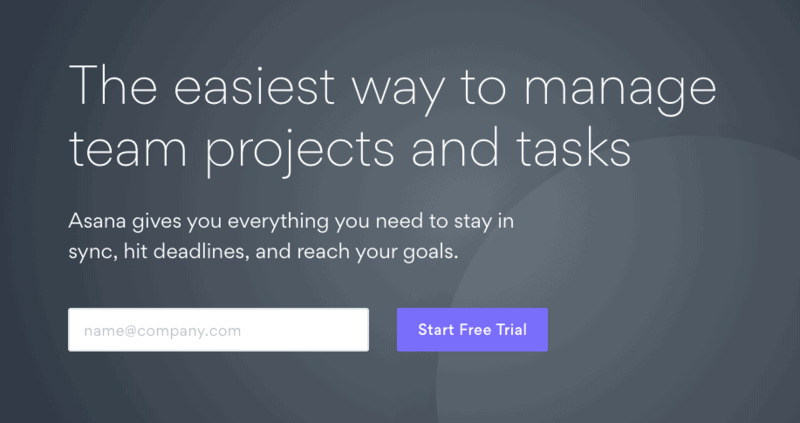 Asana is a project management app which lets you keep track of your work. [05:20]Productivity Tool #3: E.ggtimer. E.ggtimer is a free web-based countdown timer. [06:42]Productivity Tool #4: StayFocusd. This is a free Google Chrome extension that increases your productivity by limiting the amount of time that you can spend on time-wasting websites. [08:02] Productivity Tool #5: Momentum. 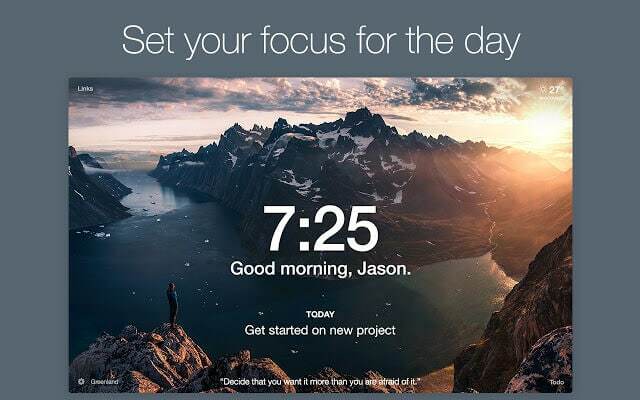 Yet another Chrome extension which replaces the new tab page on Chrome with a personal dashboard featuring your to-do list, focus task for the day, weather, and an inspirational quote. 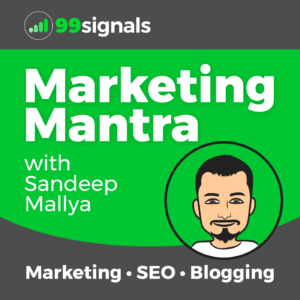 [09:10] That’s it for this episode of Marketing Mantra! Hey everyone! 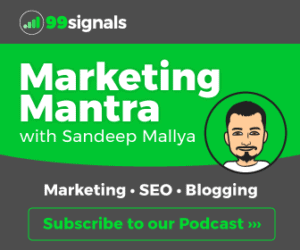 Welcome to episode 7 of the Marketing Mantra podcast, brought to you by 99signals.com. 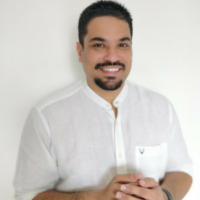 I’m Sandeep Mallya and today, I’ll be sharing Top 5 Productivity Tools for Entrepreneurs. Once again, a warm welcome to the show. Let’s begin! Let’s talk about productivity. It’s as important as it gets for entrepreneurs. You need to stay focused on your tasks and make most of the time that you have at hand. So in this episode, I’ll be talking about 5 productivity tools that will help you manage your time better and stay focussed on your projects. So here are 5 of the best tools to maximise your productivity. The first tool is Brain.fm. Now many of you may already have certain music tracks that you listen to on Spotify or Apple Music when you’re working, whether it be coding or writing a new blog post or any task that requires you to stay focussed for a certain amount of time. Now a good alternative to your Apple Music or Spotify playlist is a tool called Brain.fm. This is a tool which provides music designed for the brain to improve focus, meditation, and sleep, and you can see results within 15 minutes of use. The company behind Brain.fm has done lot of research to prove the connection between music and optimized performance, and the team actually works alongside leading auditory neuroscientists to validate their findings. So what they have done is that they have has developed a unique AI which composes all of the music, and they’ve even published a white paper which you can download for free from their website. This white paper dives deep into the connection between music and optimized performance. Brain.fm is an online tool or you could also download the Brain.fm app on your iOS or Android device. Once you’ve done that, you can choose from a variety of music tracks and they have different tracks for focus, meditation, and sleep. I’ve been using Brain.fm for over two uears now, and it’s something I use frequently. I listen to a lot of music on Apple Music. I have a lot of playlists and I’ve certain tracks I listen to to stay focussed. But Brain.fm is a good alternative to that. Because sometimes the music that you are listening to can get too distracting and you can get lost in the song that you’re listening to. Like I said, Brain.fm has different tracks for staying focussed. And I also use the app for meditation. They have different tracks for meditation as well. And if you’re someone who meditates quite frequently, like me, you can use Brain.fm for that as well. With Brain.fm, the first five sessions are free. After that, you’ll have to upgrade to their paid plan which starts from $6.95/month. To start using Brain.fm, just visit their website and you can also download their app on iOS or Android. The next productivity tool for entrepreneurs is a tool called Asana. As an entrepreneur, you need to stay on top of your tasks and for that, you need a project management app. Asana is my favorite project management app and that’s the reason I’ve included it in this list. Asana lets you keep track of your work, get more organized, and also helps you hit those deadlines. With Asana, you can set tasks for each of your team members and set priorities and deadlines for those tasks. The best part about Asana is it’s really user-friendly with a super clean user-interface. The moment I created an account with Asana and logged into the dashboard, I was really drawn to the clean user-interface of the tool and also how user-friendly it was. That’s something that can’t be said about most of the project management apps on the market. The second best part about the tool was that it was free. I don’t think it’s free anymore, but it used to be free for a very long time. But now they provide a free trial, and once that free trial is over, you need to upgrade to one of their paid plans. And the paid plans start from $10/month. It’s still one of the most cost effective project management tools on the market. But it’s not free anymore, unfortunately. But if you’re looking for a project management app that’s really user-friendly and something that you and your team can adapt to pretty soon, Asana is the app you should go for. Next up, we have a tool called E.ggimer. This is a free web-based countdown timer which helps you stay focussed on the task at hand. I have always observed that I’m more productive and more focussed when I use a countdown timer to complete a specific task. I just choose between two timers — one is the timer on my Apple Watch and the other one is the E.ggtimer countdown timer. With E.ggtimer, you can set special timers like the Pomodoro timer which is 25/5 minute cycle wherein you work for 25 minutes and rest for 5 minutes, or you can set your own timers. You can gauge how much time it takes for you to complete a specific task and you can set a timer aside for that. Tim Ferriss mentions a lot of tools for entrepreneurs in his book The 4-Hour Work Week and E.ggtimer was one of the tools that was featured in the book. This is where I first heard about E.ggtimer, back in 2015 when I first read The 4-Hour Work Week by Tim Ferriss. It’s used by a lot of entrepreneurs to stay focussed on the tasks they want to complete. E.ggtimer is completely free and it doesn’t require you to sign up. You just have to visit this URL, set a timer, and you’re good to go. 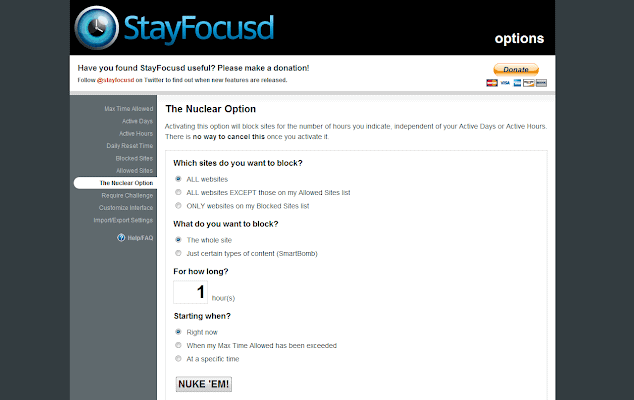 Next, we have a tool called StayFocusd and as the name suggests, it’s a tool that will help you stay focussed. It’s a free browser extension for Google Chrome that helps you stay focused on work by restricting the amount of time you can spend on time-wasting websites. This is for all the Netflix and social media addicts out there. It’s fun when you’re binge-watching your favorite show on a weekend, but when you have to stay focussed on work and you see yourself spending a lot of time on Facebook, Twitter, Reddit, or Netflix, then it really doesn’t help you complete the task at hand. This is a tool which can help you with that. 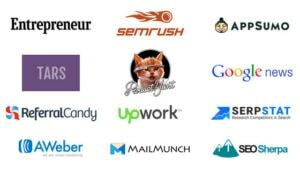 You can allot a specific time for each of the websites where you think you’re wasting a lot of time. Once your allotted time has been used up, the sites you have blocked will be inaccessible for the rest of the day. So if you find yourself wasting a lot of time on certain websites and if you think this is really interrupting the flow of your work or the quality of your work, then StayFocusd is a browser extension you must install. So visit the Chrome web store and download this Chrome extension, and stay focussed. The last tool I want to talk about is another browser extension called Momentum. Momentum is one of the most popular Google Chrome extensions. What it does is that it replaces the new tab page on Chrome with a personal dashboard and you can populate this dashboard with your to-do list for the day, you can set up a daily focus task (i.e., if there’s an important task that needs to be finished before all the other tasks, then you can set it here), and you’ll also see an inspiring quote. There’s a new quote everyday. If you’re like me who gets inspired by quotes, then this browser extension can help you with that as well. So this is really useful for setting reminders, eliminating distractions, and beating procrastination because you get a reminder for your focus for the day on every new tab that you open on Chrome. I’ll provide a link to Momentum in the description. Do check it out. In fact, I’ll provide links to all the tools discussed in this episode. You can find all of them in the description. That’s it for this episode of Marketing Mantra. Thank you for tuning in, and I hope you found this episode useful. If you have any feedback or suggestions, do leave a voice message on Anchor, if you’re listening to this podcast on Anchor. Or you could send me an email at podcast@99signals.com. I’d love to hear your feedback and suggestions. And visit 99signals.com for more tips on SEO, marketing, and blogging. Thanks once again and I hope you guys have a lovely weekend.